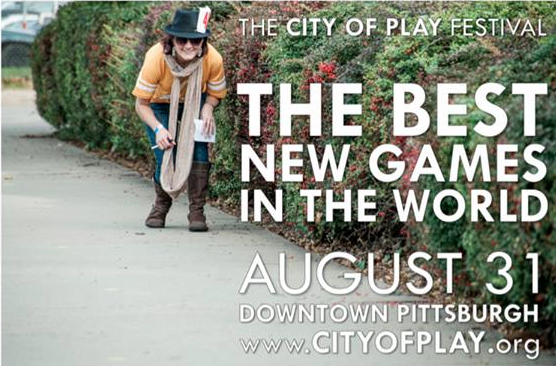 The City of Play Festival is a showcase of the best new games in the world, coming back to Pittsburgh on August 31, 2013. Hand-selected as the very best in urban games, the games featured at the City of Play Festival give participants new ways to experience and understand their city. The assignment is to attend the City of Play festival and write a report on the blog about a game you played there (and that you found interesting). Bonus if you take pictures (but not when you are playing). The event runs all day from 10AM to 11PM and includes sportier games -field games- and calmer ones. Obviously you don’t have to be there all day, just check the schedule and pick whatever intrigues you. The ticket for the whole day is $25 which is about 0.042% of your tuition and expenses for one year of CMU.